Three big companies of the Vietnam National Oil and Gas Group (PetroVietnam) will make their initial public offerings (IPOs) in the next three months, under equitisation plans approved by Deputy Prime Minister Vuong Dinh Hue late last week. 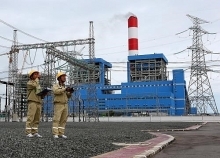 The three companies are: Binh Son Refining and Petrochemical Company (BSR); PetroVietnam Power Corporation (PV Power); and PetroVietnam Oil Corporation (PVOil), valued at 2 billion USD, 1.5 billion USD and 610 million USD, respectively. The IPOs will pump 916,403 million shares into the market, offering a massive opportunity for investors interested in oil and gas stocks at a time global oil prices are recovering. Oil prices have recovered from the bottom price of 27.58 USD per barrel on January 18, 2016 to around 50 USD per barrel at present. From the beginning of this year, many oil and gas stocks have seen increases of 20-50 percent, including the PetroVietnam Gas Joint Stock Corporation (GAS), PetroVietnam Transportation Corporation (PVT), PetroVietnam Drilling (PVD) and PetroVietnam Fertiliser and Chemicals Corporation (PVC). According to Phan Dung Khanh of Maybank KimEng Securities, the medium-term development outlook for oil and gas stocks is positive. 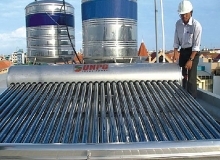 The three companies, BSR, PV Power and PV Oil, are in good shape, according to their financial reports. Under the approved equitisation plan, BSR, which manages and operates Dung Quat Oil, has a charter capital of 31 trillion VND (1.36 billion USD), and is the largest firm ever to IPO ever. The face value of its share is 10,000 VND. Nearly 242 million shares, or 7.79 percent of its charter capital, would be sold to the public at an initial price of 14,600 VND per share. At this price, BSR would have value of 2 billion USD. PetroVietnam would hold 43 percent of BSR’s charter capital while selling 49 percent to strategic investors and 0.21 percent sold BSR’s employees. Strategic investors in BSR must have a minimum charter capital of 10 trillion VND and be profitable during the most recent years with no aggregated loss. Priority will be to investors with experience in operating refineries and oil distribution to support BSR’s oil refinery plant after its privatisation. According to its most recent financial report, BSR earned revenues of 38.6 trillion VND in the first half of this year, rising by 15.4 percent over the same period last year. After-tax profit jumped 266 percent to 3.8 trillion VND in the period. PV Power is the second largest power supplier in Vietnam after national utility Electricity of Viet Nam (EVN), with a market share of around 12 percent. 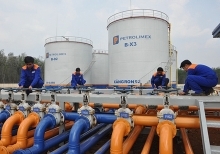 It is also among the most profitable companies of PetroVietnam. The company has a charter capital of 23.4 trillion VND. It will put up about 469 million shares, or 20 percent of the charter capital, for the IPO at an initial price of 1.48 billion VND. PetroVietnam would hold a 51 per cent stake in PV Power after its equitisation, but this will be reduced to below 50 per cent from 2019, depending on the company’s debt restructuring process. It is planned that around 676 million shares, or nearly 29 percent of its charter capital, would be sold to strategic investors. 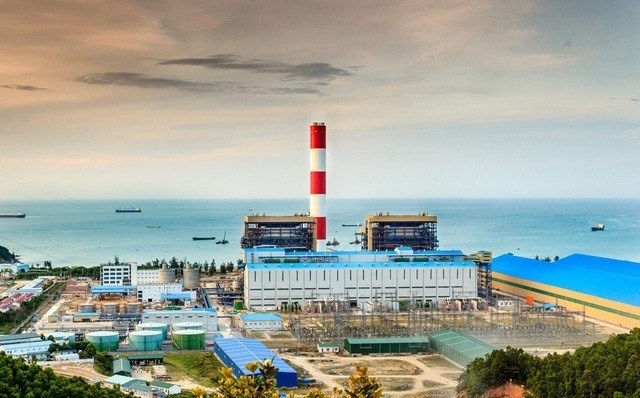 Founded in 2007 as a wholly-owned PetroVietnam subsidiary, PV Power now operates eight power plants, including four thermal power plants. Its net revenue is estimated to reach 31.5 trillion VND in 2017, a year-on-year increase of 12 percent, for after-tax profits of 1.9 trillion VND, up 25 percent over last year, according to the HCM City Securities Corporation. Nguyen Xuan Hoa, General Director of PV Power, said that the company plans to contribute 20 percent of the nation’s total electricity output in the next decade. At PVOil, the State’s stake would be cut to 35.1 percent after equitisation. The company has a charter capital of 10.3 trillion VND, 20 percent of which will be offered to the public at an auction held on the HCM City Stock Exchange in January 2018, at an initial price of 13,400 VND per share. More than 462 million shares, or 44.72 percent of its charter capital, will be sold to strategic investors. Foreign ownership of PVOil is capped at 49 percent of its charter capital. About 1.8 million shares, or 0.18 percent of its charter capital, will be be sold to its employees. PVOil is now the second largest petrol distributor in Vietnam after Petrolimex, with a market share of 22 percent. Last year, the company reported revenues of 34 trillion VND and before-tax profits of 530 billion VND. This year, its revenue was expected to reach 55.5 trillion VND with before-tax profits of 520 billion VND, both exceeding annual targets.